If you are not already receiving Medicare payments by Electronic Transfer of Funds (EFT's), please read below. For providers enrolling for the first time, updating information or re-validating, the internet based system, PECOS, now facilitates submitting electronic signatures. Recently, First Coast Service Options, Inc., (FCSO) had a teleconference call with the FCA regarding changes affecting Florida Chiropractic services. This call explained the recent questions from many members who were already receiving denials without any review of records. FCSO confirmed that we should anticipate an increase in these front-end denials. So, what does it mean to you and what can you do? Were You Sent a Request to Revalidate Your Medicare Enrollment? Over the last year, we have listened to your feedback about the Medicare online enrollment system, PECOS (“Provider Enrollment, Chain, and Ownership System”). As a result, we’ve made upgrades in order to reduce data entry time and increase access to information. Version 5010 refers to the revised set of HIPAA transaction standards; adopted to replace the current Version 4010/4010A standards. Every standard has been updated, from claims to eligibility to referral authorizations. With the January 1st compliance deadline quickly approaching, CMS has come out with the following information. This contains links to many helpful resources. Remember that The 5010 Initiative applies to those offices that transmit protected health information (PHI). Of course, offices that bill electronically are transmitting PHI. The small office exemption will still apply. At this time, those offices with fewer than 10 full time employees (FTE) are exempt from billing electronically. 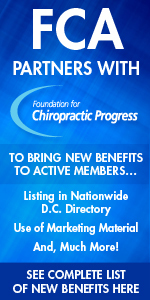 The Medicare Learning Network (MLN) has recently released the Chiropractic Services booklet. This will answer many of your questions related to chiropractic and Medicare. The Medicare Learning Network (MLN) has created a four page fact sheet called Misinformation on Chiropractic Services. With the January 1, 2012 deadline quickly approaching, many providers in small offices are wondering if they must comply.